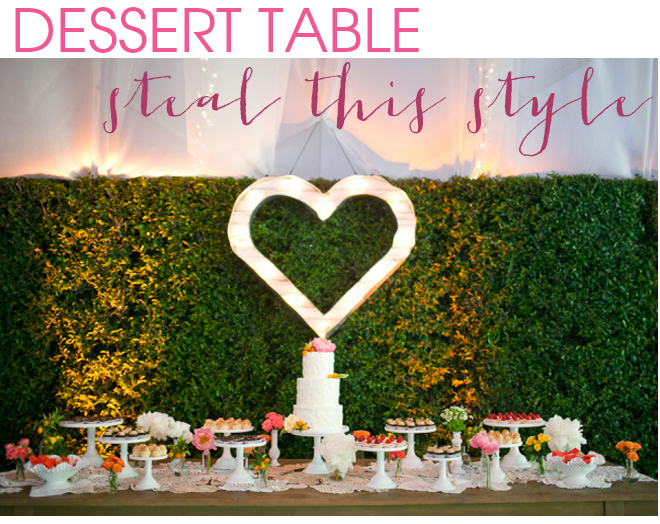 Steal This Style - how to DIY your wedding dessert table! 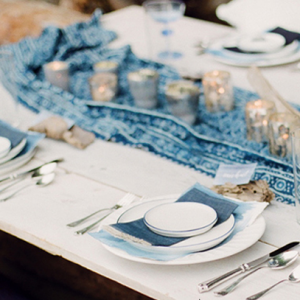 Hey Something Turquoise Readers, it’s Lauren again! 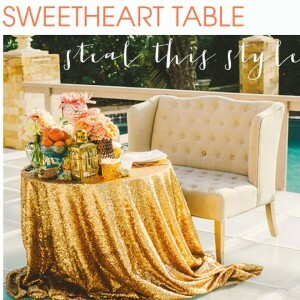 For my last two “Steal this Style” posts, I shared how to achieve a couple fabulous tablescapes, but this time around I thought I’d switch it up and find an incredibly charming dessert table for you to copy! 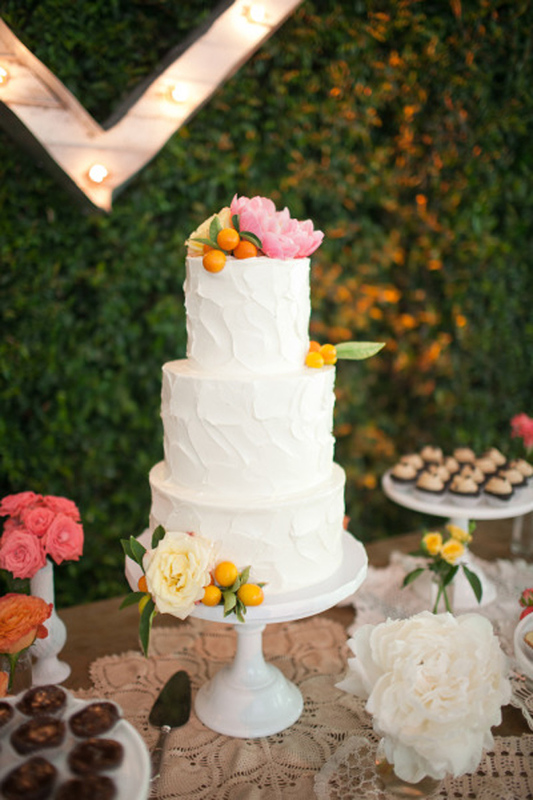 This dessert table was part of an incredibly charming summer wedding featured on Style Me Pretty. 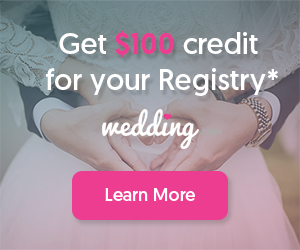 It’s fairly simple, set on a runner of dollies, using all white ceramic pieces, the happy – simple flowers in small clear bud vases really pop, but the WOW is in the size of the display, and the adorable marquee heart. Marquee letters are such a great trend because, not only do they add a lighting element to the decor, but they also add some fun! 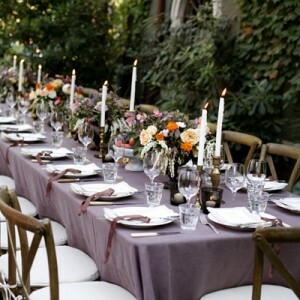 Plus they go with so many types of weddings, from vintage to modern, whimsical and beyond. 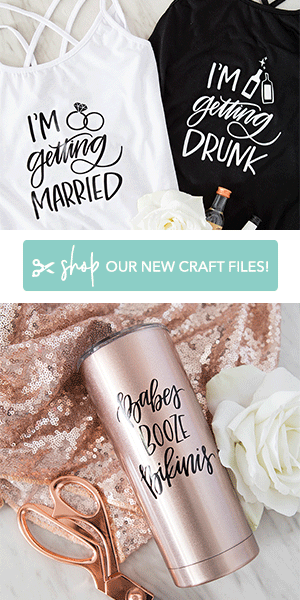 If you search Pinterest for “DIY marquee letters” there are many tutorials to make these on your own, but I thought this one from tatertots and jello was among the highest quality. Some other options out there don’t require as many tools, but could be a little flimsy and might not last beyond the big day. Which is another plus – your marquee can be hung in your new home . 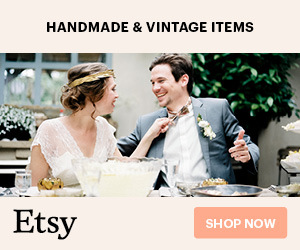 If you’re not interested in tackling another DIY project, I found a great option to buy a marquee heart from Etsy. 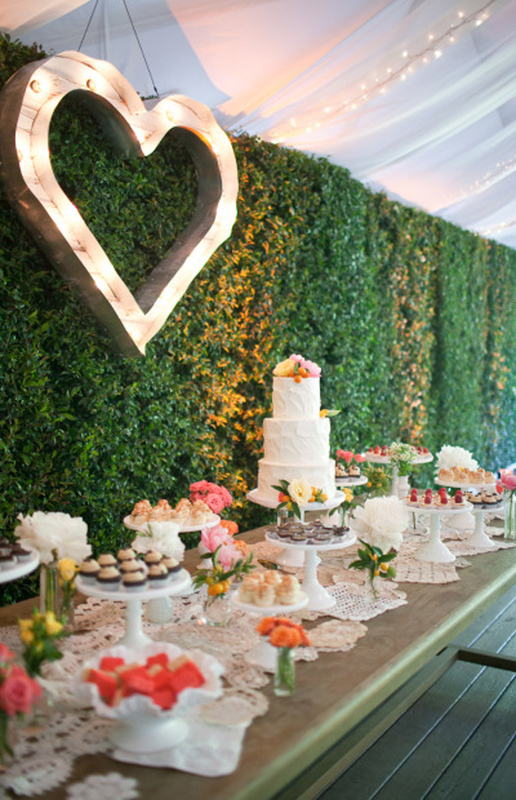 Another reason why this dessert table is so fabulous is the beautiful texture the shrubbery adds behind the all-white table. If your venue doesn’t have this caliber of landscaping or you’re inside, fake it with artificial turf. This idea may sound crazy, but I think it sounds very preppy and Kate Spade-esque. For the collection of cake stands and bowls, I found a variety of sizes and heights from various department stores, but these are greats item to keep your eye out for at thrift stores, estate sales and of course, on Etsy. 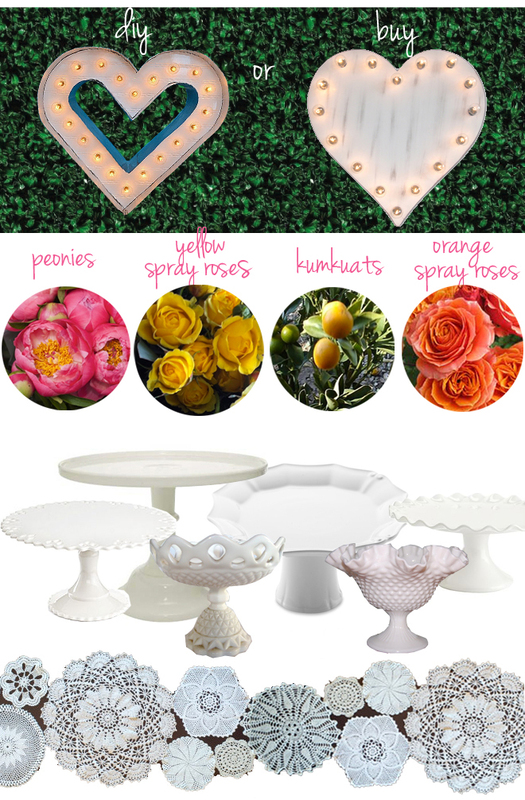 Use the search terms “milk glass”, “cake stand”, and “compote” to yield some amazing vintage finds.